← Do you know what a bottle slider is? Hint: It’s silver and wood! Long a talented interloper in the male-dominated drinks, restaurant and hospitality fields, Chang is crashing through yet another glass ceiling in her meteoric, honor-laden career. Beginning as an apprentice chef at Houston’s Café Annie to serving as wine director for Charlie Trotter in Chicago then overseeing operations at Danny Meyer’s Michelin-starred The Modern in New York to being appointed global beverage consultant for the Starwood luxury hotel group, Chang, a James Beard-award honoree for outstanding wine service in 2011, is now joining the storied ranks of marketers of liquid effervescence. A born educator, Chang relishes her new role to introduce and, where needed, re-acquaint the trade about the unique story of Champagne, its sub-regions and premier and grand cru appellations, its viticultural and winemaking traditions, and, of course, inform one and all about MH USA’s Moët & Chandon, Veuve Clicquot, Krug, Dom Pérignon and Ruinart brands, from the non-vintage through vintage-dated bottlings to all the rosé and demi-sec releases all the way up to MH USA’s unrivalled collection of prestige cuvées. 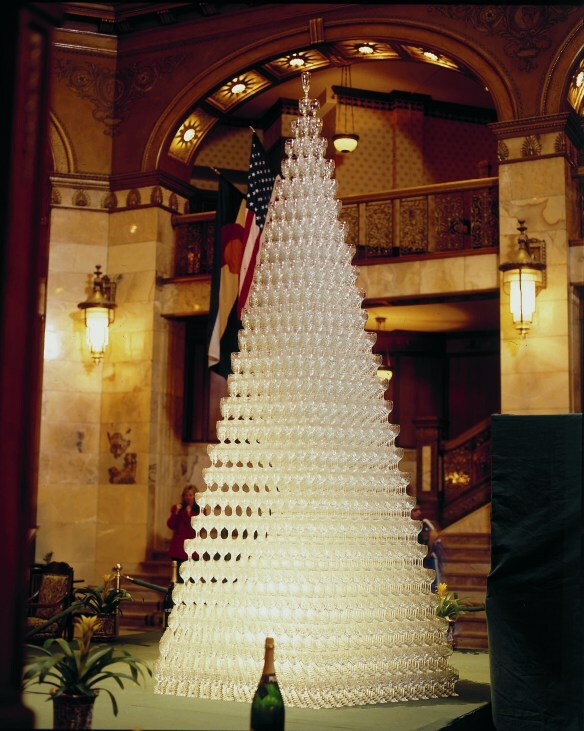 A Tower of Bubbly: Every year Brown Palace Hotel, Denver, pictured below, partners with Moët & Chandon, to build this awesome pyramid of Champagne. 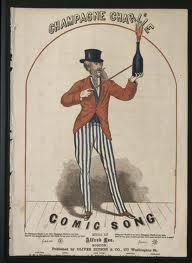 “Champagne Charlie is my name, Champagne Charlie is my name. 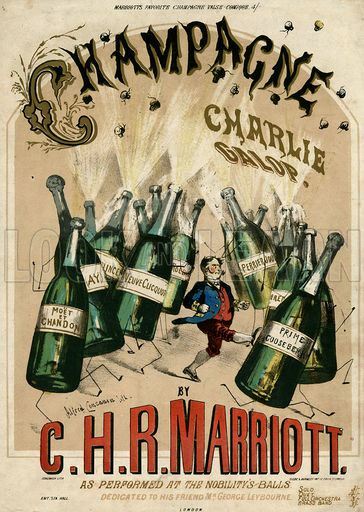 Given Chang’s record of accomplishments, it would be a mistake to discount her ability to once and for all transform, and elevate, the perhaps outdated image of a Champagne Charlie, now and long into the future. Editor’s Note: The author would like to thank The Tasting Panel Magazine for permission to adapt this article, whose original version appears in the February 2014 issue. 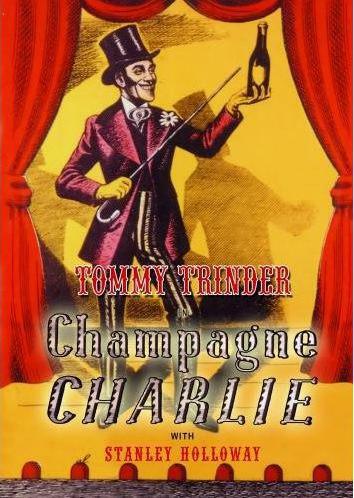 This entry was posted in Belinda Chang, Champagne, Champagne Charlie, Culinary History, Food, France, French History, French wine, Moet & Chandon, The Biz of Fizz, Wine and tagged #BelindaChang, #Champagne, #ChampagneCharlie, #DomPerignon, #Moet, #moet&chandon, #RoseChampagne. Bookmark the permalink.